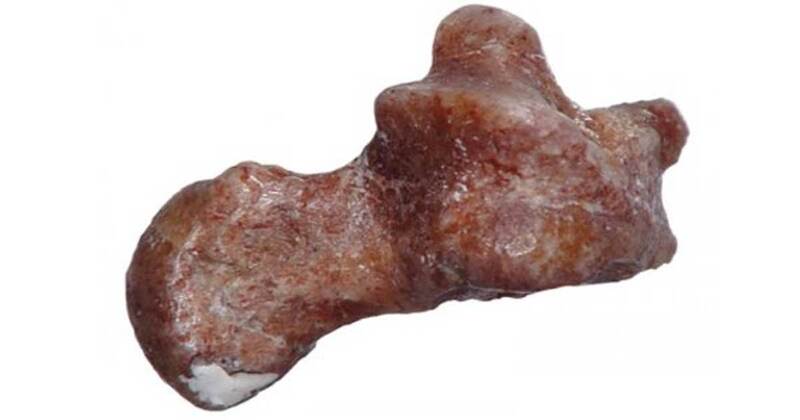 This tiny ankle bone belonged to one of the earliest members of the primate family tree. The 52-million-year-old fossil suggests that the first primates were expert leapers. Discovered more than 30 years ago by paleontologist Marc Godinot, the fossil is now housed at the Muséum National d'Histoire Naturelle in Paris. The fossil matched up best with a chipmunk-sized creature called Donrussellia provincialis . The researchers say that - contrary to what many scientists thought - the first primates may have evolved their acrobatic leaping skills first, while anatomical changes that allowed them to cling to slender branch tips and creep from tree to tree came later. The article ‘Why your ancestors would have aced the high jump: First primates were built for leaping, fossil ankle suggests’ was originally published on Science Daily.